Can something be thrilling and sad at the same time? 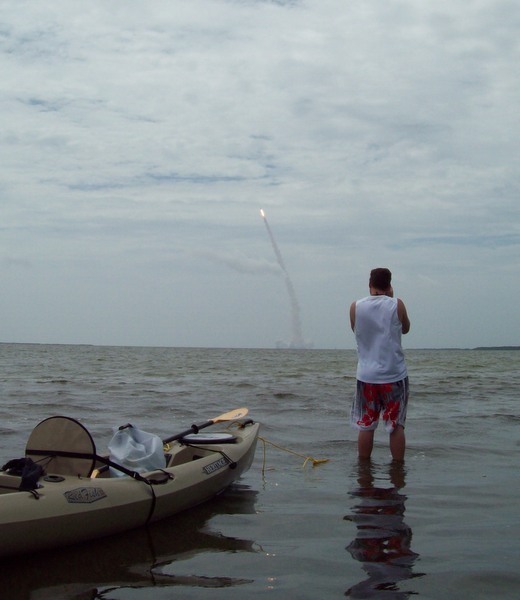 Where to watch the last space shuttle launch ever? Winds were predicted to be 9-12 miles an hour, which sort of ruled out a paddle trip to the Banana or Indian Rivers unless we planned on taking anchors. 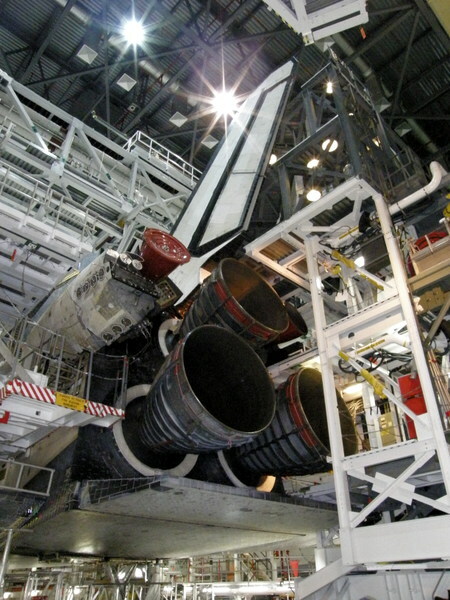 The last space shuttle being prepared for launch. 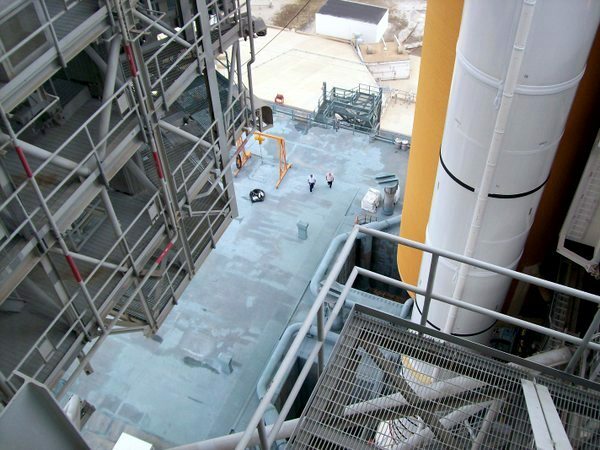 Two inspectors are walking across the MLP deck. North side of Haulover Canal. Haulover can be very "buggy" with the plethora of hungry striped legged Marsh Mosquitos. 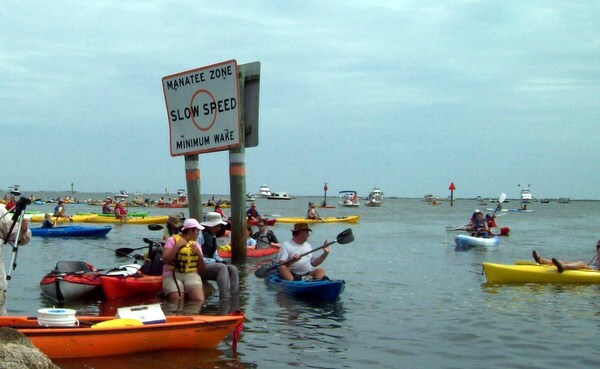 Due to the expected winds and crowds around Merritt Island and Cape Canaveral we decided upon launching our Kayaks at Haulover Canal in North Brevard and paddle over to the Mosquito Lagoon. 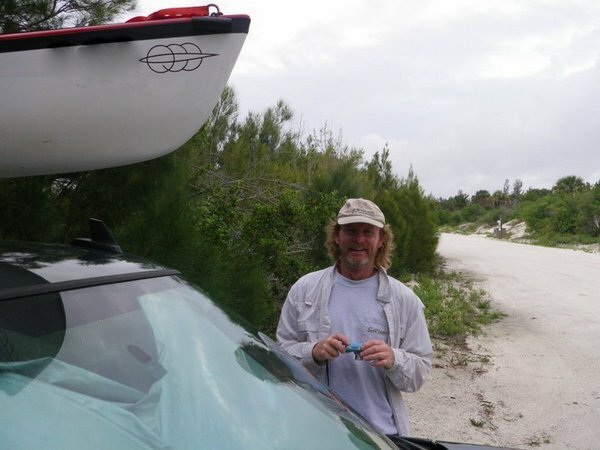 Unpredictable wind driven currents common to Haulover canal were not an issue with the Epic and QCC kayaks. 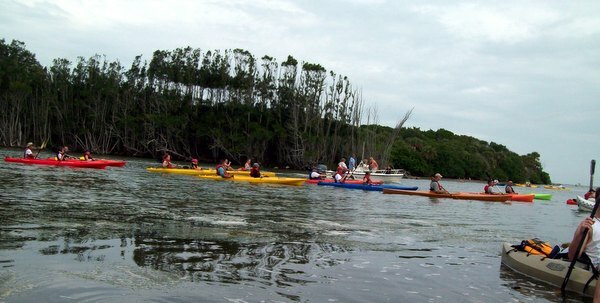 However depending upon the type of kayak you paddle, one should always consider the strong currents and general safety on the IRL lagoon. We arrived early which was a wise move as it turned out-even at Haulover the turnout was unexpectedly large thanks to social media and local kayak meet-up groups. 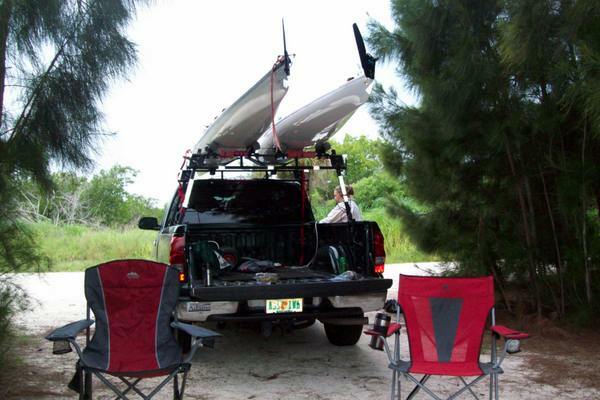 We had time to lounge around watching the sea-grass flow by and mullet jump; listening to the radio until about 45 minutes to lift-off & put our kayaks in the water and paddled to the Mosquito lagoon to watch the last space shuttle EVER to lift off from Kennedy Space Center. 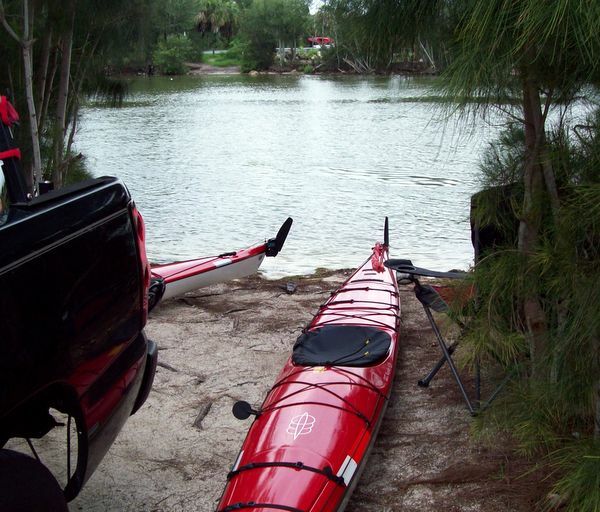 Easy paddle to the lagoon, just had to keep an eye out for manatees and stay in the center of the canal when passing by the Manatee Viewing Deck. Often there are 16 or more manatees at the deck, drinking from a freshwater seep or just playing. Arriving a Mosquito Lagoon we turned south and chose a nice launch viewing location-the launch pad clearly visible on Kennedy Space Center. 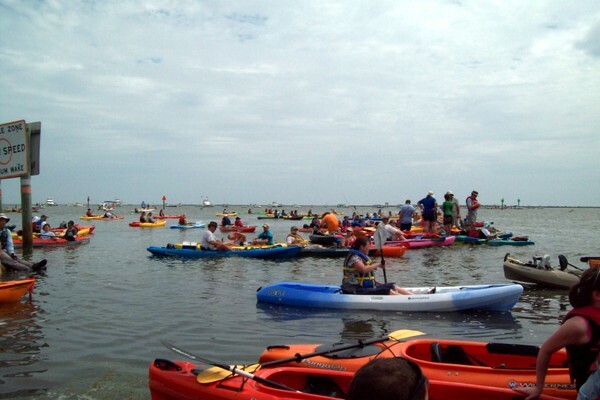 And then the boats began to arrive and did not stop arriving until I felt I was back on the Missouri River waiting with 600 other paddlers for the cannon blast to begin the MR340 race. Like us, everyone was quite excited. 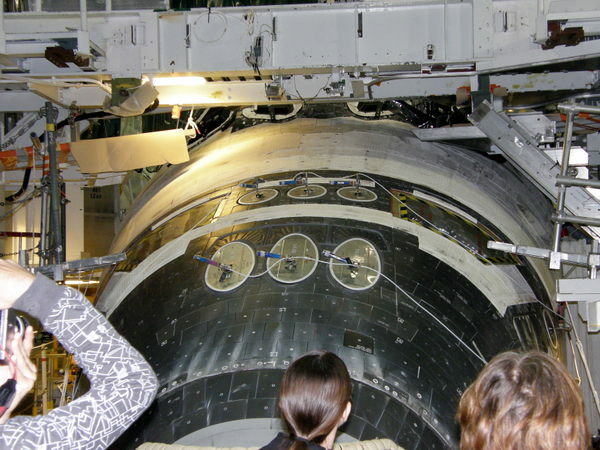 I even recognized a few faces from the shuttle program. When the final two minute warning was given, I got of the kayak and tried to wade my way to the front of the crowd. However there were plenty of folks with the same idea. -So you just deal with life's little obstacles. And Gone. End of an era. Exciting launch, sad, sad day. 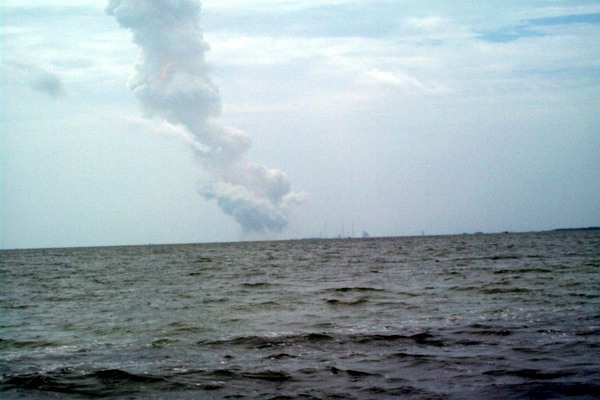 You know there were the normal cheers on lift of, and again when the solid rockets dropped away from the shuttle. However the paddle back to the truck was somber. More than a few of the kayakers we passed had tears streaming down their cheeks.